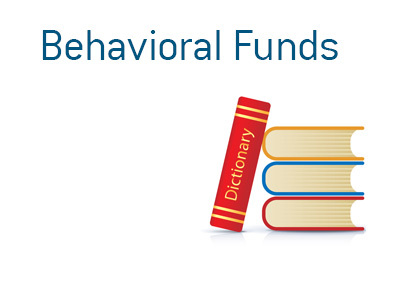 Behavioral Funds - What Does It Mean? A "behavioral fund" is a fund that looks to use human behavior in order to seek out stocks that have been under-valued or over-valued by the market. Human beings can be irrational creatures - they can panic at the first sign of trouble and they can get far too greedy, even when everything is telling them that it is time to sell. Behavioral funds look to exploit human nature by identifying situations where people have either over-reacted or under-reacted to news. For instance - let's say that a company comes out and announces that they have missed their earnings expectations for the month. Investors immediately bail out of the stock, sending it down over 35%. The earnings release, however, was quick to point out that the miss was due to one of the company's customers pushing back a major order by a single month. Now, many investors and traders saw that the company missed their number and immediately bailed. The savvy investor, however, sees this as a great opportunity to purchase a quality company at a much lower price. Behavioral funds look to exploit the irrationalities of human nature in order to make money in the markets.